If you're buying only one stock, your logic flies in the face of many investment professionals. Nonetheless, there are reasons driving both approaches, investing in a single stock or creating a diversified portfolio, which are on opposite sides of the investment spectrum. Buying a single stock is akin to placing all of your investment eggs in one basket. Diversifying across different types of stocks or even asset classes, on the other hand, is to select financial securities that have the best chance of lowering your risk for loss and increasing your returns. There are numerous reasons why you might choose to invest in a single stock. You might have only a limited amount of money to invest or you might be convinced that you've stumbled across the next Microsoft. You might consider a direct stock purchase plan. These are direct-purchase plans offered by a select group of companies that let you bypass stock brokers and the size of commissions that market professionals charge when buying shares of a stock. You may have to pay an enrollment fee, and could still face some transaction costs, but those charges are likely to be lower than the expenses you'd encounter with a stock broker. There really is no end to the way that you can diversify an investment portfolio. You can pile up on stocks of different sizes or that trade in numerous industries or regions, for example. Diversification generally includes investing beyond one investment category, such as stocks, and into another, such as bonds. The key to diversification is to identify investments that have a low correlation to one another, according to an article on the Fidelity Investments website. This is to find securities whose prices generally move in opposite directions from one another so when one investment is faltering, the others have a greater chance of holding up and mitigating or preventing financial loss. You can build wealth in a single stock, including if you're investing in your employer via stock options. Stock options allow you to purchase shares of your employer's stock at a predetermined rate, which generally reflects a discount. If the stock price rises, so too does the size of your investment, which could bolster your overall pay package. If you're building a diversified investment portfolio, performance is on your side. For instance, in the decade leading up to 2011, a portfolio invested in a stock mutual fund that copies performance in the S&P 500 index would have produced returns of only 1.4 percent annually. Investors who diversified into bonds would have experienced returns closer to 6 percent each year, according to investment firm Index Funds Advisors cited in a 2011 "USA Today" article. What Are the Functions of Mutual Funds? The flip-side of making money from a single stock is to suffer from a declining market value. Unfortunately, if the company in which you're invested experiences some hardship, you've got no recourse because your portfolio is limited. In the event the company in which you're invested files for bankruptcy, your entire investment could be erased. You can create a false sense of protection by creating a diversified investment portfolio. During times of economic collapse, no single asset class may be immune. 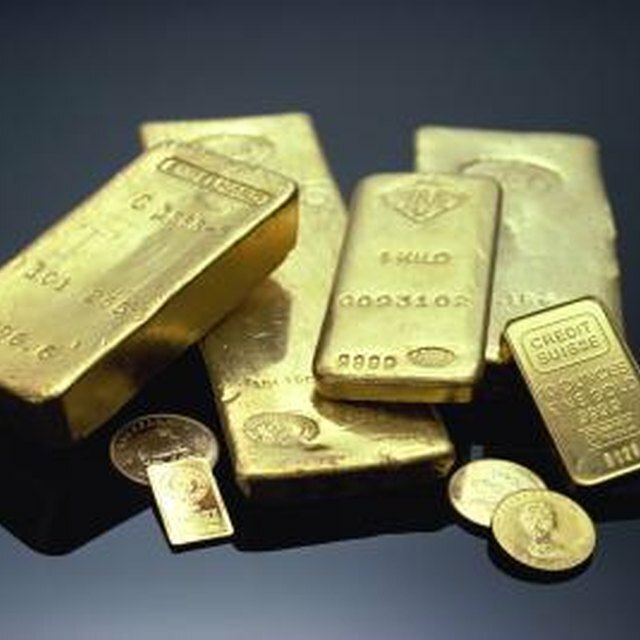 In the 2008 financial crisis, investors who had exposure to stocks, bonds and commodities -- specifically gold -- would have suffered declines of anywhere between 5 percent and 20 percent, according to a 2011 article on the Bank Rate website. USA Today: Are Direct Stock Purchase Plans Good for Beginners? Investor Guide: Mutual Funds vs. Stocks: Which is Best for Your Investing Style? Bank Rate: Is Diversification Dead?